Home AFC AFC East NFL Draft: Should the Bills Play It Safe Or Trade Up? NFL Draft: Should the Bills Play It Safe Or Trade Up? The first night of the NFL draft is filled with questions that can either be answered easily or no one know what to expect. A majority of the time, most can expect a certain prospect to be drafted number one overall. After that, anything can happen. With the Bills sitting at picks #21 and #22, and having many assets they could easily make big moves in round one. With this draft being Brandon Beane’s first one as the Bills general manager, fans can expect anything to happen at this point. Last year, the Bills traded down from the top ten and acquired an extra first round pick from the Kansas City Chiefs and eventually drafted star cornerback Tre’Davious White. Trading down in the draft is a smart strategy. Trading up is a high risk/high reward type of deal. Going back to the 2014 NFL draft, the Bills owned the #9 pick overall and traded up to #4 with the Cleveland Browns and drafted Sammy Watkins. With his career in Buffalo, Watkins dealt with injuries since his rookie season. When he wasn’t injured, he was dynamic. The only problem is that he never fully lived up to his potential with the Bills due to the injuries he dealt with. Now, he is playing for the Los Angeles Rams after being traded by the Bills. With this draft, if the Bills were to trade up its more than likely for a quarterback. It’s hard seeing the Browns trading the number one overall pick, but picks #2 and #3 could be secured by the Bills if they decide to trade up. The last team to make a major blockbuster trade in the draft to acquire a quarterback was the Philadelphia Eagles who drafted their franchise guy in Carson Wentz. The Los Angeles Rams did the same deal to get Jared Goff. If the Bills make the decision to trade up, they better have their guy. The player who can be considered their next franchise quarterback. The Bills have gone from quarterback to quarterback since Jim Kelly. If a trade goes through, will it be for Sam Darnold? Josh Rosen? Stay tuned as the NFL draft is slowly approaching. Brandon Ray is a Managing Editor for Full Press Coverage and covers the Buffalo Bills. 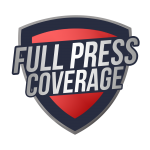 Follow him on Twitter at @brandon_ray79 and @FPC_Bills for Buffalo Bills coverage.